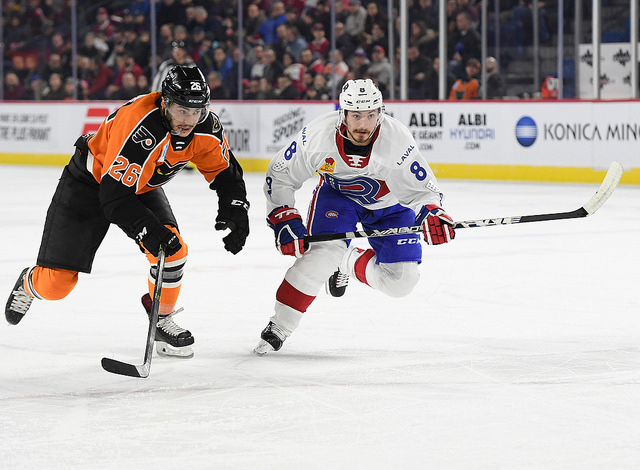 The Lehigh Phantoms were at Place Bell on Friday night to face the Laval Rocket. 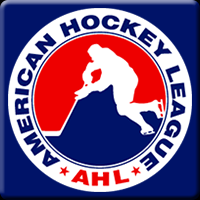 The Rocket were coming off a 2-1 win against Belleville, while the Phantoms were coming off a 6-3 loss versus Providence. All eyes were on Victor Mete, playing his first game in a Rocket uniform after being sent to the AHL by the Montreal Canadiens on Thursday. Mete started the game on a defensive pairing with Brett Lernout, while Karl Alzner started the game playing with Maxim Lamarche. There was no scoring in the first period, and no dangerous scoring chances from either team. The Phantoms gave the Rocket two power play opportunities in the period that could have given Laval momentum, but the Rocket were only able to take a total of one shot. Laval continued using the same set play where a player brings the puck to the neutral zone and then drops it back for a teammate who is supposed to bring it in their opponent’s zone. They kept trying to make that play work even though the Phantoms prevented them from entering the zone. Byron Froese opened the scoring 2:11 into the second period as he scored with a top-corner shot that beat Carter Hart glove side. With an assist on that goal, Daniel Audette continued his hot streak by getting his 8th point in the last 9 games. Lehigh Valley continued to be undisciplined in the period and gave Laval more four power plays, including a 3:31 sequence with an extra player on the ice. The sluggish power play took energy out of the building as the Rocket took a total of two shots during their four opportunities. 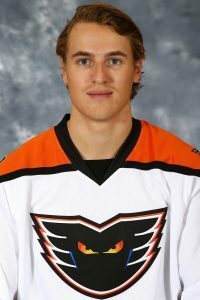 It took the Phantoms just ten seconds to capitalize on their only power play opportunity as Phil Varone deflected Greg Carey’s point shot that beat Charlie Lindgren blocker side. The Rocket controlled the first half of the third period, not allowing the Phantoms to register their first shot on goal until nine minutes into the period. Michael Pezzetta gave Laval a one-goal lead 7:13 into the period as he deflected Karl Alzner’s shot into the net. That was Alzner’s second point in as many games in Laval. Lukas Vejdemo was in the penalty box when Varone scored his second power play goal of the night, with 55 seconds remaining in regulation, to tie the game. The overtime lasted 48 seconds before Nic Aube-Kubel went around Maxim Lamarche to score the game winner, which Lamarche later took ownership for being at fault on the goal. The difference in this game were the special teams, as Laval went 0-for-7 and took a total of four shots while on the man advantage, and Lehigh Valley went 2-for-3 on the power play. Joel Bouchard was satisfied with his team’s performance and said that they will keep working on their power play. The coach was happy with Victor Mete’s first game, while Mete said that he still needs to get comfortable with his new environment. Laval back in action on Saturday afternoon as the Utica Comets visit Place Bell at 3:00pm ET for the fifth game between the two teams.